SUGAR CITY — Sugar-Salem School District trustees self-corrected their secretive process for hiring a superintendent after Idaho Education News filed a formal complaint with the Madison County Prosecutor’s Office. The Feb. 2 complaint alleged the board violated Idaho’s open meeting law by not publicly naming three finalists vying to replace longtime superintendent Alan Dunn. Trustees voted 5-0 to offer the job to “candidate O.” Nowhere in the minutes is “candidate O” identified. The Rexburg Standard Journal identified “candidate O” as Rockland district superintendent Chester Bradshaw the day after the vote. Sugar-Salem School Board Chair Kristin Galbraith defended the hiring process to Idaho Ed News by saying trustees needed to keep discussions about candidates’ qualifications “confidential.” Galbraith also said the board consulted with the Idaho School Boards Association during the hiring process. Executive director Karen Echeverria said the ISBA never told trustees to conceal the candidates’ names. Idaho Ed News’ formal complaint alleged that Sugar-Salem’s hiring process violated open meeting law, which requires the formation of public policy to be conducted in open meetings. Trustees originally vowed to fight the complaint, in a formal letter from attorney Brian K. Julian to the prosecutor. Also, trustee Greg Stoddard suggested in a Feb. 7 meeting the district file a restraining order against Idaho Ed News reporters. But draft minutes from a March 7 open meeting reveal the board’s decision to “redo” the hiring by discussing candidates’ qualifications and using their actual names. Trustees voted unanimously to offer the position to Bradshaw. The March 7 minutes identify the other two finalists: Rod Broadnax, superintendent of the McIntosh School District, near Bismarck, N.D.; and Parma High School principal David Carson. Galbraith defended her board’s original actions, despite the decision to correct them. In a Feb. 7 letter, Madison County civil deputy Troy D. Evans notified Sugar-Salem trustees of the Feb. 2 complaint from Idaho Ed News managing editor Jennifer Swindell. Evans’ letter pointed out that trustees could self-correct their action or deny wrongdoing. “(Walther) said that we needed to discuss the candidates by letter in open meeting to protect the privacy of the candidates,” according to the draft minutes. “(Stoddard) does not want them to be able to call us and ask us any questions,” the draft minutes read. Julian, an attorney representing Sugar-Salem, wrote a Feb. 15 letter to Evans, acknowledging the need for boards to conduct business in public meetings. However, the letter said Idaho law distinguishes between “deliberations,” which may occur in closed executive sessions, and “actions” or “decisions,” which must occur in an open meeting. Fleming also questioned the need for the use of pseudonymous names, if Bradshaw had truly been named during the meeting. “(Idaho Education News) can discern no reasonable explanation why the board of trustees would continue the charade of identifying the candidates by letters of the alphabet,” Fleming said. Echeverria said the ISBA did not contract with Sugar-Salem to help in the superintendent’s search. Echeverria said “someone” from the district reached out to ISBA during the process, but no one from the ISBA recommended concealing the candidates’ names. Echeverria said the ISBA directs districts to use pseudonyms for larger pools of up to 30 candidates, for easier reference. However, she said Idaho law requires districts to identify the five final candidates for a superintendent’s position. “We wouldn’t have told them to keep the final candidate a secret,” Echeverria said. Idaho Education News filed a formal complaint with the Canyon County prosecutor’s office. The Nampa School Board eventually self-corrected its actions in hiring Paula Kellerer. 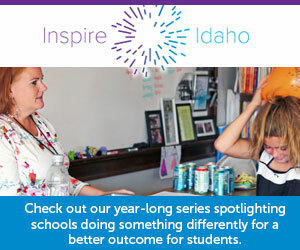 Idaho Education News Managing Editor Jennifer Swindell and data analyst Randy Schrader contributed to this report.